GOAL: Enhance the quality of life for neighbors and preserve the diversity of neighborhoods. PROCESS: Assemble concerns of member neighborhoods. In November an “issues congress” will be held by the Council to finalize the definition of all issues in this quality of life exercise. Once complete and adopted by the Council, the project will be presented to the City Commission, the City Manager, and the Visioning Committee for the purposes of prioritization, planning, budgeting, and staff resource allocation. There are many issues managed by organizations other than the City of Fort Lauderdale that have a direct impact on the quality of life with our neighborhoods. 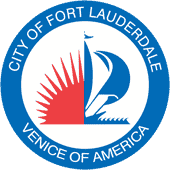 It is assumed that the City of Fort Lauderdale would exercise every option to enhance things like education and the arts to enhance the life of its citizens. Other issues like traffic, airport and port management, the hospital system and business development incentives require proactive interaction by the City in order to maximize the results for neighbors. Redevelopment has entered some neighborhoods at a cost to the quality of life. Growth and the absence of action have resulted in neighborhood cut through traffic. The volume, speed and presence have impacted the ability of residents to safely walk and cycle. The system of sidewalks and bike paths is incomplete and inadequate. Particularly the challenge in commercial/residential intersections and mixed-use areas. Maintenance and repair of infrastructure is insufficient. Lack of routine replacement has caused catatrosphic failure, neighborhood impact on health and safety, and cessation of services. In addition, the decline in maintenance has negatively impacted businesses in the City which serve neighborhoods. The process by which repair and maintenance is scheduled does not factor elements, traffic, opportunity costs and other causal elements in the prioritization process. Public transportation is not currently a viable option for Fort Lauderdale neighbors. The Council published a Parks position paper February 2009. It was re-issued in 2011. The report is attached. The cornerstone of the report was a “no net loss” policy. Public spaces set the tone for the neighborhood and are an indicator of the health of the City. Crimes by youths and the ‘underserved’ increase and impact the quality of life for all residents. Youth services and education are critical components to turn around the trend. Improvement of response time and effectiveness of response presents a cost saving opportunity. Partnering for a result is a change neighbors would welcome. Proactive and progressive code/ordinance changes incorporating incentives would benefit both the residential and business community. This entry was posted in Neighborhood Announcements, Reports of Committees.